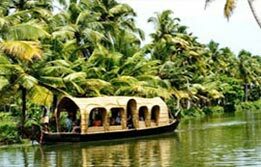 South India Travel is a surprising journey where the subtle excitement eludes the mind, body and soul on to new experiences of life. 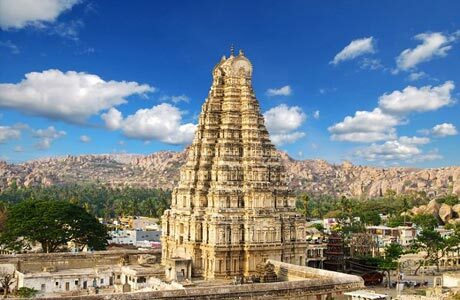 This 16 day comprehensive tour maps the most of peninsular India's bounties including metropolitan Mumbai, city of Nizams “Hyderabad”, Chennai, mesmerizing Mysore, blissful Bangalore, heritage of Hampi, Bijapur and Gol Gumbaz along with gorgeous setting of Goa. Truly spectacular ! On arrival, meet India Budget Tour representative who will assist the transfers to the hotel for overnight stay. 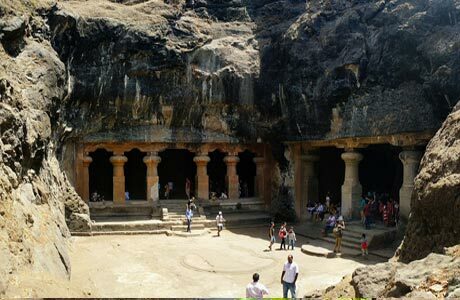 In morning, begin a Mumbai city tour including a visit to world heritage site of Elephanta Caves across the harbour. It is famous for huge rock cuts including one gigantic three faced Shiva sculpture. After an excursion to Elephanta Caves is over, begin the Mumbai city tour via a visit to Gateway of India, Prince of Wales Museum, Hanging Gardens, Kamla Nehru Park, Mani Bhawan (where Mahatma Gandhi used to stay) and Dhobi Ghat. Also visit Afghan Church, Flora Fountain (Bombay nerve centre), colourful Crawford Market and Marine Drive. In the evening, board train to Hyderabad. Arrive Hyderabad by noon. Check into hotel. 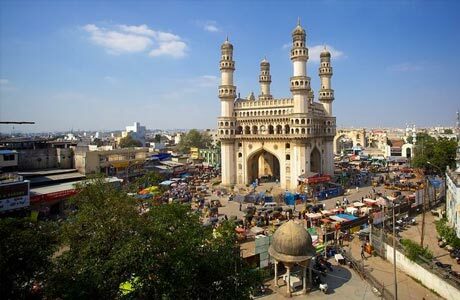 After lunch, visit Charminar, an iconic attraction of this city of Nizams. This is a rectangular four monumental gateway featuring four minarets supported by four grand arches. Continue exploring the 400 year old heritage of Hyderabad via Mecca Mosque. This is one of the biggest mosques in India. Salar Jung Museum, next in the series is world's largest one man collection featuring collection of rare manuscripts, ancient weapons, costumes and curios. In the evening, drive past the High Court buildings. Overnight in Hyderabad. 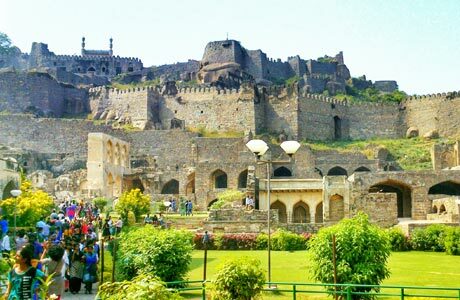 Begin an excursion to Golconda Fort in the morning (11 km from Hyderabad). Golconda was once famed for its diamond mines and gave to the world many iconic jewels like Kohinoor, Hope Diamond, Darya-e-Noor, etc. Presently, the heritage city is symbolized with the presence of a strategic fort dating back to the 13th century. The impregnable fort is renowned for its acoustical system and massive fortifications. Later visit the Osman Sagar Lake, one of the artificial and the most beautiful artificial lakes in Hyderabad. Evening board train to Tirupati. In the morning, reach Tirupati, one of the most visited sacred sites in the world. Check in hotel. After breakfast, take a full day excursion of Tirupati, one of the most important & the richest temples of the world. 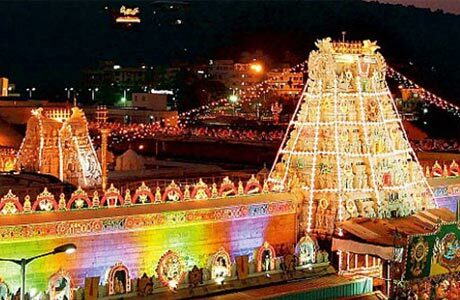 This temple of seven hills adorns the Tirumala and is dedicated to Lord Venkateswara. 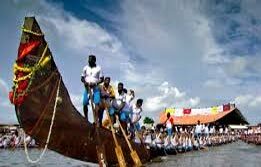 The popularity of this pilgrimage is evident from the fact that it attracts pilgrims from all over the world. After visit to this temple; return back to the hotel in the evening. In the evening, return back to hotel for overnight stay. 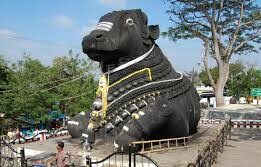 In the morning, check out Tirupati for a drive towards Chennai (180 km / 4 hrs). Upon arrival, check into the hotel. In the noon, visit Chennai Museum and see the Art & Bronze Gallery. Continue the Chennai City tour via Fort St. George, the longest beach line of Marina Beach and San Thome Cathedral. Overnight in Chennai. Early morning, board the train for Mysore. Upon arrival in Mysore during noon; transfer to the hotel. After lunch, take half-day sight seeing tour of Mysore via a visit to the Maharajas palace. This palace rules the city skyline and offers a charming aura to Mysore. Symbolizing a harmonious blend of the Hindu and Saracenic styles of architecture, this palace features splendid archways, domes, colonnades, turrets and sculptures. 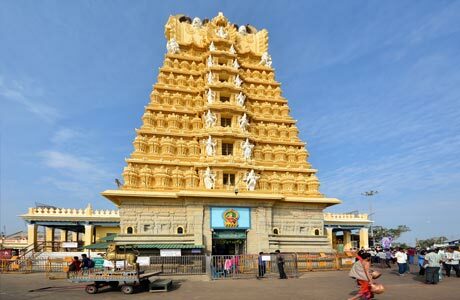 Visit the Art Gallery in the Palace complex and later enjoy a drive up to Chamundi hill to see Chamundeshwari Temple & panoramic view of Mysore. On the way, back see the Mahisura Statue, a colourful monolith structure. Overnight in Mysore. Day 08 - Mysore - Sublime expressions of stone. 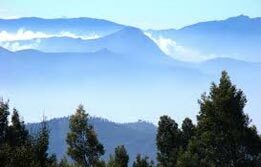 In morning, begin an excursion from Mysore to Srirangapatnam, a town near Mysore based on great religious, cultural and historical foundations. Here, visit Daria Daulat Bagh, the former summer palace built by Tippu Sultan, the ruler of Mysore. Return to hotel for the remaining day at leisure. Overnight in Mysore. After breakfast, drive to Bangalore (150 km / 3 ½ hrs). In the afternoon, take a day sightseeing tour of this ˜Garden City covering the Lal Bagh where a variety of old trees, fountains, lotus, pools, terraces and an assortment of tropical herbs and subtropical herbs are planted. Also, see the Government Buildings and the Maharaja's Palace. Utilize rest of the day in shopping or personal activities. Overnight in Bangalore. Proceed to Hampi (350 km / 7 hrs). 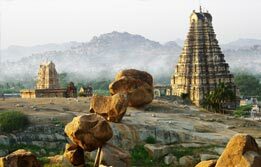 This is the erstwhile capital of Vijayanagar Empire which had astounding number of palaces, temples and sculptures spread all over. Currently, the city is in ruins amidst the boulder strewn landscape. Upon arrival, check into hotel for overnight. 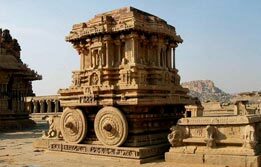 After breakfast, visit Hampi, the erstwhile Vijayanagara capital known for its glorious stone architecture. 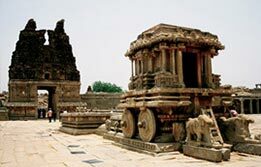 Whole day is free to explore the wealthy monuments of Hampi. In the evening, return back to hotel for overnight stay. In the morning, proceed towards Bijapur. Enroute visit Pattadakkal, known for its ancient wealth of temples. Reach Bijapur (106 km / 4 hrs). Bijapur is a home to the finest Muslim monuments in entire Deccan region. The domed mausoleums, mosques, colossal civic buildings and fortifications symbolize the visions of Adil Shahi dynasty. Visit Golgumbaz and Ibrahim Rauza tomb, Mithari and Astar Mahals, Malik-i-Maidan and Upli Buruj during Bijapur tour. Overnight in Bijapur. After breakfast, proceed to Goa (334 km / 5 ½ hrs). Upon arrival, check into hotel. This is India's own Baywatch zone. For the day you are free to relax. Overnight in hotel. Day 15 - Goa - Rome in India. 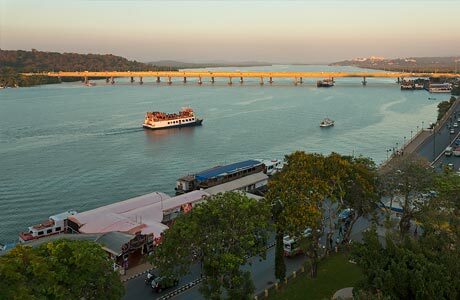 Start half-day sightseeing tour from the slopes of Altinho Hill for a breathtaking view of Panjim and river Mandovi. Later visit Dona-Paula for a view of India's largest natural harbour-Mormugao. Afterwards visit old Goa and see the Basillica of Bom Jesus which contains the tomb & mortal remains of St. Francis Xavierh housed in a silver ornate casket , Se.Cathedral- the biggest Church in the East, St. Cajetan, built like St. Peter (Rome), Church of Our Lady Rosary and St. Monica. Rest of the day at leisure. Morning is free to relax. Later transfer to airport to connect flight for Mumbai. On arrival at Mumbai connect flight for onward destination. Room on twin sharing basis at each place as per itinerary for total 15 nights (02 Nights on train and 13 nights at hotels). Hotel check in / out 12:00 hrs.